With a 4.2 cu. 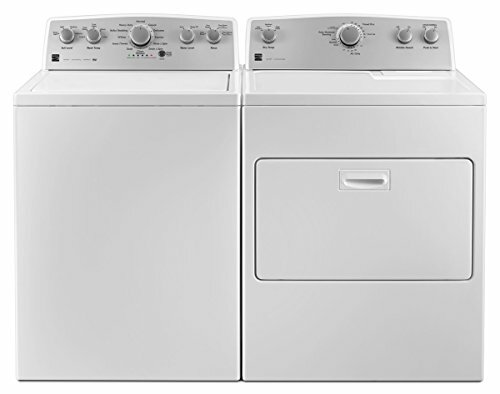 ft. capacity, this washer can clean up to 19 towels in a single load. This Kenmore dryer's 7.0 cu. ft. capacity can take on almost any sized load. From a light load of delicates to a mountain of towels or a duvet, this dryer can get the job done. Select soil level, wash temp, water level and rinse options to further customize each load, from tough denim to delicate work shirts. Also features a Fabric softener dispenser.